Where and how you work can affect the final product. Panel building is a very competitive business, companies that want to enter this area and hope to succeed in the long term must design their facilities to operate efficiently while providing an environment able to support quality and precision. Quality inspection: Like assembly, inspection can take some time and should be done in an area where the quality inspector can concentrate and have not to move equipment out of the way. Testing needs to be performed carefully and methodically, according to a checklist, to ensure safety. Packaging and shipping: An assembled electrical enclosure needs careful handling as it is being prepared for shipment. To avoid damage to the cabinet and external fittings, it must be well protected. The choice of packaging method should be defined according to the distance and shipping mode (e.g., truck, boat or plane). This is not an action that should be performed hastily, or the panel may have to be repaired or its IP/IK rating lowered when it reaches its destination. With a well-organized workshop, it is much easier to achieve reliable quality for your switchboard and productivity process to create an outstanding brand image. The ability to create a switchboard and enclosure that looks as good as it operates will identify your shop as a professional operation. Besides all the points we mentioned above, the competency of your individual workers is also a key point and needs to be kept in mind. 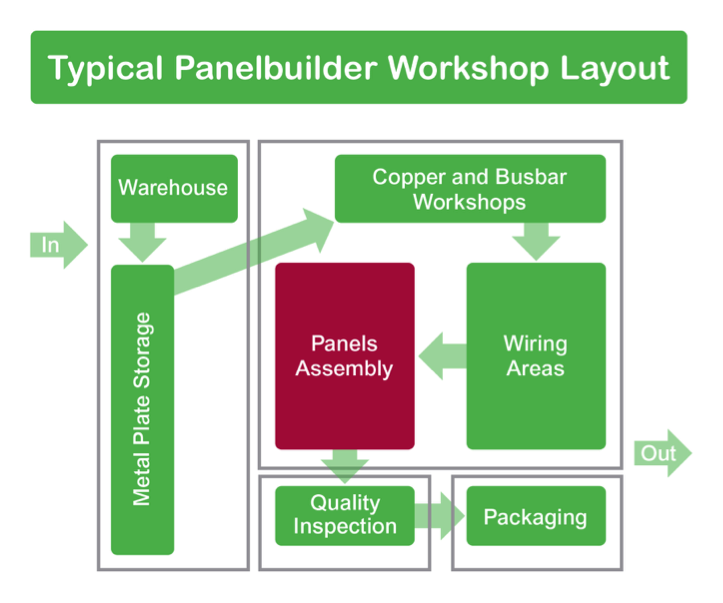 Schneider Electric’s Panel Builder Portal offers many practical resources to help you improve your business performance. When your shop delivers products exhibiting excellence in all areas, customers will return for additional projects.